1.Study of chemical-physical properties and of the physiopathological role of proteins and other macromolecules. 2. Molecular basis of Sorcin activity: calcium-dependent signal transduction and Multidrug resistance. 3. Structural and functional studies on the enzymes of the unique thiol-based redox metabolism of Leishmania, common to all parasites of the Trypanosomatidae family but absent in man. Development of new therapeutic strategies against leishmaniasis. “Molecular basis for the impaired function of the natural F112L sorcin mutant: X-ray crystal structure, calcium affinity, and interaction with annexin VII and the ryanodine receptor”. FASEB J. Vol. 22(1), pp. 295-306, 2008. “The X-ray structure of N-methyltryptophan oxidase reveals the structural determinants of substrate specificity”. Proteins: Structure, Function and Bioinformatics. Vol. 71, No. 4, pp.2065-2075, 2008. 3. 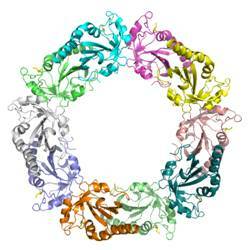 Colotti G.*, Zamparelli C., Verzili D., Ilari A. and Chiancone E.
Calcium Binding Proteins. Vol. 3, No. 1, pp. 14-17, 2008. 4. Stefanelli P., Colotti G., Neri A., Salucci M.L., Miccoli R., Di Leandro L., Ippoliti R.
“Molecular Characterization of Nitrite Reductase Gene (aniA) and Gene Product in Neisseria meningitidis Isolates: Is aniA Essential for Meningococcal Survival?”. IUBMB Life. Vol. 60 (9), pp. 629-636, 2008. 5. Fowler M.R., Colotti G., Chiancone E., Smith G.L. and Fearon I. ”Sorcin modulates cardiac L-type Ca2+ current by functional interaction with the 1C subunit”. Experimental Physiology. Vol. 93(12), pp. 1233-1238, 2008. 6. Fowler M.R., Colotti G., Chiancone E., Higuchi Y., Seidler T., Smith G.L. Pflugers Arch. Vol. 457(5), pp.1049-60, 2009. “Trypanothione reductase from Leishmania infantum: cloning, expression, purification, crystallization and preliminary X-ray data analysis"
Protein and Peptide Letters. Vol. 16(2): pp. 196-200, 2009. 8. Baiocco P.#, Colotti G.#*, Franceschini S. and Ilari A. Journal of Medicinal Chemistry. Vol. 52, 2603–2612, 2009. 9. Zamparelli C., Macquaide N., Colotti G., Verzili D., Seidler T., Smith G.L. and Chiancone E.
“Activation of the cardiac Na+–Ca2+ exchanger by sorcin via the interaction of the respective Ca2+-binding domains”. Journal of Molecular and Cellular Cardiology. Vol. 49 (1), pp.132-41, 2010. 10. Colotti G.*, Ilari A. “Polyamine metabolism in Leishmania: from arginine to trypanothione”. Amino Acids. Vol. 40 (2), pp. 269-285, 2011. ACS Med Chem Lett. Vol. 2 (3): 230–233, 2011. Amino Acids. Vol. 42, 2-3, 803-811, 2012. 13. Fiorillo A., Colotti G.#*, Boffi A., Baiocco P., Ilari A.
PLOS Negl. Trop. Dis. Vol. 6, 8, e1781, 2012. 14. Colotti G.*, Ilari A, Boffi A, Morea V.
Mini Rev Med Chem. Vol. 13, 2, 211-221, 2013. 15. Trnkova L.; Ricci D.; Grillo C.; Colotti, G.; Altieri F.
Biochimica et Biophysica Acta. Vol. 1830, 3, 2671-2682, 2013. 16. Baiocco P.; Poce G.; Alfonso S.; Cocozza M.; Porretta GC. ; Colotti G.*; Biava M.; Moraca F.; Botta M.; Yardley V.; Fiorillo A.; Lantella A.; Malatesta F.; Ilari A.
ChemMedChem. Vol. 8, 7, 1175-1183, 2013. 17. Colotti G.*, Ilari A., Fiorillo A., Baiocco P., Cinellu MA, Maiore L., Scaletti F, Gabbiani C, Messori L.
ChemMedChem. Vol. 8, 10, 1634-1637, 2013. 18. Colotti G.*; Baiocco P.; Fiorillo A.; Boffi A.; Poser E.; Di Chiaro F.; Ilari A. Future Medicinal Chemistry. Vol. 5, 15, 1861-1875, 2013. "Sorcin Links Calcium Signaling to Vesicle Trafficking, Regulates Polo-like Kinase 1 and is Necessary for Mitosis." PLoS One. 2014, Jan 10; 9(1), PONE-D-13-29980R1 10.1371/journal.pone.0085438, 2014. 20. Perli E., Giordano C., Pisano A, Montanari A., Campese AF, Reyes A, Ghezzi D, Nasca A, Tuppen HA, Orlandi M, Di Micco P, Poser E, Taylor RW, Colotti G., Francisci S, Morea V, Frontali L, Zeviani M, d’Amati G.
EMBO Mol. Med. 2014 Feb 1; 6 (2):169-82. doi: 10.1002/emmm.201303198. 21. Sechi S., Colotti G., Belloni G., Mattei V., Frappaolo A., Raffa G.D., Fuller M.T., Giansanti M.G. PLoS Genet. 2014 May 1;10(5):e1004305. doi: 10.1371/journal.pgen.1004305. 22. Masciarelli S, Quaranta R, Iosue I, Colotti G, Padula F, Varchi G, Fazi F, Del Rio A.
ACS Chem Biol. 2014 Aug 15;9(8):1674-9. doi: 10.1021/cb500286b. Epub 2014 Jun 11. PubMed PMID: 24914804. 23. Colotti G*, Poser E, Fiorillo A, Genovese I, Chiarini V, Ilari A.
Molecules. 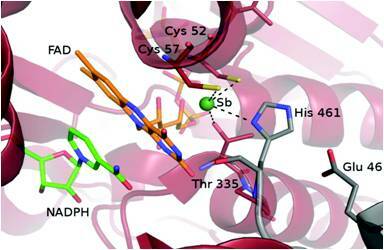 2014 Sep 5;19(9):13976-89. doi: 10.3390/molecules190913976. PubMed PMID: 25197934. 24. Sechi S., Frappaolo A., Belloni G., Colotti G., Giansanti MG.
Oncotarget 2015, 6 (6), 3493. Mini reviews in medicinal chemistry 2015, 15 (3), 243-252. 26. Angiulli G, Lantella A, Forte E, Angelucci F, Colotti G, Ilari A, Malatesta F.
NADPH:O(2) oxidoreductase activity shared by glutathione reductase”. Biochim Biophys Acta. 2015 Sep;1850(9):1891-7. doi:10.1016/j.bbagen.2015.05.022. PubMed PMID: 26033467. Colotti G, Angiulli G, Di Chiaro F, Fiorillo A, Ilari A, Campiani G.
major tryparedoxin peroxidase by high throughput docking”. Sci Rep. 2015 May 7;5:9705. doi: 10.1038/srep09705. PubMed PMID: 25951439; PubMed Central PMCID: PMC4423475. 28. Ilari A, Fiorillo A, Poser E, Lalioti VS, Sundell GN, Ivarsson Y, Genovese I, Colotti G*. “Structural basis of Sorcin-mediated calcium-dependent signal transduction”. 29. Perli E, Fiorillo A, Giordano C, Pisano A, Montanari A, Grazioli P, Campese AF, Di Micco P, Tuppen HA, Genovese I, Poser E, Preziuso C, Taylor RW, Morea V, Colotti G*, d'Amati G.
“Short peptides from leucyl-tRNA synthetase rescue disease-causing mitochondrial tRNA point mutations”. 30. Digilio, F.A., Lanati, A., Bongiovanni, A., Colotti G., Lacerra, G., Liguori, G.L. “Quality-based model for Life Sciences research guidelines”. Accreditation and Quality Assurance 2016; 21(3): 221-230. 31. Fracasso, G., Falvo, E., Colotti, G., (...), Arcovito, A., Ceci, P.
“Selective delivery of doxorubicin by novel stimuli-sensitive nano-ferritins overcomes tumor refractoriness”. Journal of Controlled Release 2016; 239: 10-18. 32. Saccoliti F, Angiulli G, Pupo G, Pescatori L, Madia VN, Messore A, Colotti G, Fiorillo A, Scipione L, Gramiccia M, Di Muccio T, Di Santo R, Costi R, Ilari A.
J Enzyme Inhib Med Chem. 2017;32(1):304-310. 33. Ilari A, Fiorillo A, Genovese I, Colotti G*. Future Med Chem. 2017 Jan;9(1):61-77. 34. Poser E, Genovese I, Masciarelli S, Bellissimo T, Fazi F, Colotti G*. Argonaute 2 Protein Binders. Methods Mol Biol. 2017;1517:223-237. 35. Bellissimo T, Masciarelli S, Poser E, Genovese I, Del Rio A, Colotti G, Fazi F.
Computer-Aided Molecular Design to RNA Immunoprecipitation”. Applied Sciences 2017, 7, 101. 37: Asteriti IA, Daidone F, Colotti G, Rinaldo S, Lavia P, Guarguaglini G, Paiardini A. 38. Morea V, Bidollari E, Colotti G, Fiorillo A, Rosati J, De Filippis L, Squitieri F, Ilari A.
Amino Acids. 2017. doi: 10.1007/s00726-017-2417-2. 39: Genovese I, Fiorillo A, Ilari A, Masciarelli S, Fazi F, Colotti G*. “Binding of doxo- rubicin to Sorcin impairs cell death and increases drug resistance in cancer cells”. Cell Death Dis. 2017 Jul 20;8(7):e2950. doi: 10.1038/cddis.2017.342. Ferla S, Desideri M, Buglioni S, Trisciuoglio D, Del Bufalo D, Brancale A, Degrassi F.
“Small molecules targeted to the microtubule-Hec1 interaction inhibit cancer cell growth through microtubule stabilization”. Oncogene. 2017 Sep 18. doi:10.1038/onc.2017.320. 1989: degree in Biological Sciences (with honors), University of Rome "La Sapienza", Italy. 1991-1993: Program in Molecular Medicine and Department of Biochemistry and Molecular Biology, University of Massachusetts Medical Center, Worcester, Massachusetts. 1994-1995: Post-doc fellowship in Medical Sciences, Faculty of Medicine, University of Rome "La Sapienza". 1996-present: Research Scientist at the Institute of Molecular Biology and Pathology, CNR (National Research Council). 2009: idoneity First Research Scientist, Physical Sciences, CNR. 2010: idoneity First Research Scientist, Life Sciences, CNR. 1997-2010: Course of Molecular Biology, School of Specialization in Pathological Anatomy, Faculty of Medicine, University "Sapienza", Rome, Italy. 1997-2010: lecturer of Molecular Biology, First School of Specialization in Oncology, Faculty of Medicine, University "Sapienza", Rome, Italy. 2005: Course "Applications of Bioinformatics in Molecular and Structural Biology" Institute of Molecular Biology and Pathology, CNR. 2005: Course "Bioinformatics for Molecular and Cellular Biologists", Ph.D. in Cellular Biology, University "Sapienza", Rome, Italy. 2007: Course "Bioinformatics for Biologists", CNR. 2010: Course "Bioinformatics for Molecular Biologists", CNR. Coordinator of Work Package (WP2): Flagship Project Nanomax: “Nanotechnology-based Diagnostics In Neurological diseases and Experimental oncology” Acronym: “NADINE” Scientific Coordinator Prof. A. Boffi. Coordinator of the project: “Molecular complexes of sorcin and E-Syt1 in the generation and regulation of calcium-dependent cellular functions”, CNR-CSIC 2010-2012. Coordinator of Operative Unit, Project "Pemphigus vulgaris as a paradigm of autoantibody-mediated organ-specific autoimmune disorder: pathophysiology and novel tools for diagnosis and therapy", RF-2010-2309790, 2012-2016. Coordinator of the Task: “Quality methods for Design of Experiments in Scientific Research”, qPMO CNR 2012-2015. Scientific Coordinator of operative Unit, PRIN (Research Programs of National Interest) Project 2007 “Supramolecular complexes of sorcin in the generation and regulation of Calcium-dependent cellular functions”, 2008-2011. Coordinator of the project "A new penta-EF protein in yeast: YGR058W. A possible role in the regulation of cell duplication", CNR. Since 2010: Coordinator for Technology Transfer for IBPM CNR. Since 2010: Expert in the regional plan for experimental action for the innovation in technical formation. Since 2012: Co-founder and member of the Foresight Group CNR, a resource for making future scientific and technological choices for the CNR. Since 2012: Co-founder of the qPMO (Quality and Project Management OpenLab) CNR.